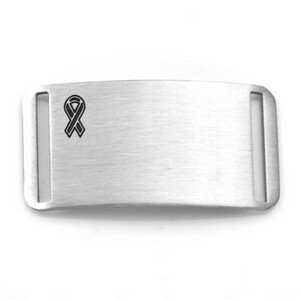 This Black Ribbon Plaque fits on any of our polyester sport or faux leather straps. Can be purchased separately. Bracelet options for this tag will appear on next page once you add item to cart.